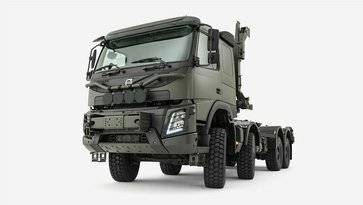 A robust truck for easy, safe and cost-effective military logistics, with a unique bodybuilding interface. Laden with features that suit your own assignment – and built to handle any terrain. 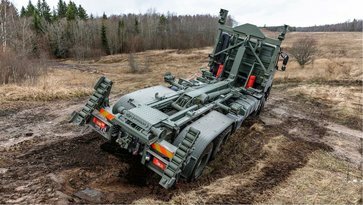 This is what a modern military truck looks like. ATC, rock free, power launch and smooth ascent. Four features that make it easy for you to get this truck where you want it to be – not just almost there. They also make driving a truck in extreme conditions simple, and something anyone can do. The Volvo FMX’s features and functions work like those you’ll find in a modern car, making this truck driveable without extensive training. 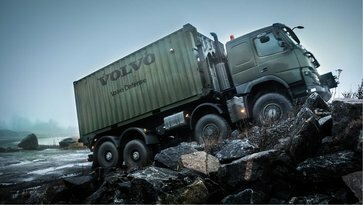 The Volvo FMX is developed with one goal in mind: to be the ultimate truck for rough terrain. Its chassis has been designed to withstand the most demanding of driving conditions. And it’s been built to carry the heaviest loads. 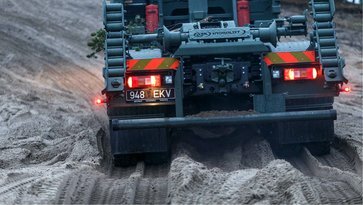 The robustness of the Volvo FMX makes military logistics assignments easier, safer and more resource- and cost-effective. It’s easily adapted to suit an individual mission’s requirements, and laden with innovative features. 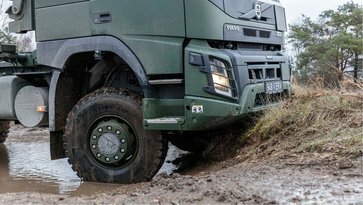 Excellent ground clearance, purpose-built suspension for heavy loads and difficult terrain, and nodular iron axle castings complete the picture. The Volvo FMX is stable, comfortable, mobile and drivable. This groundbreaking system improves manoeuvrability of the truck – quickly and reliably, while saving fuel and unnecessary wear and tear. 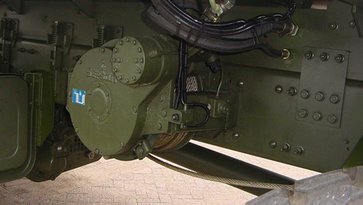 The front axle engages automatically when necessary – in half a second – eliminating traction loss. This helps limit misuse, promotes tyre life, and reduces wear on drivetrain components. Best of all, the process is fully automated – minimizing the need for training – although the driver can override the system via an easily-accessible dashboard switch. Get ready to be amazed. The cross-country cruise control or engine speed control function is an intelligent driver support feature – and an essential helpful tool when driving on rough and bumpy terrain, where it can be difficult to keep the accelerator pedal in a constant position at low speeds. By pressing the ESC switch, you “lock” the engine speed to either 600 rpm or the appropriate pre-set engine speed. This function is combined with a road speed limiter. 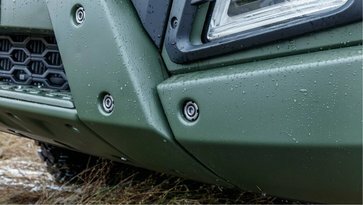 The Volvo FMX’s air suspension is specifically designed for rough terrain. It’s available in 4×4, 6×6, 8×8, 8×6 and 10×6 configurations. 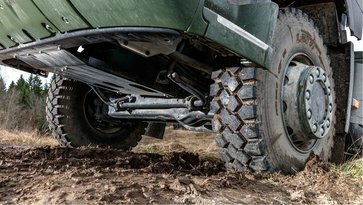 And the parts are always positioned high up and well-protected – so rough ground and obstacles shouldn’t pose much of a hazard. Rock Free is a function of the I-Shift technology that the Volvo FMX features. With it, pumping the accelerator allows the vehicle to rock backwards and forwards. The benefits? Freeing the vehicle from mud, snow or other wheel-spinning conditions: and enabling you to go more places. When Rock Free isn’t enough, Power Launch will let you safely get moving again with extra engine torque. Perfect for sand, loose soil, clay and more conditions that leave most other trucks standing. Hill Start Aid, an automatic hill start brake, can keep the truck still at an angle for a second and a half. It won’t budge an inch. Even against 60 tonnes and some serious gravitational pull. What’s more, there won’t be any roll-back (or roll-forwards) – the brake remains active until the engine torque is enough to move the truck. A 400 mm front frame extension allows you to build up your truck. Need to equip a truck with winches, pumps, hitches and tools? No problem. A tough front towing member comes as standard with the extension. When you’re out in the field a winch is often an essential piece of kit. They can be frontor side-mounted to the Volvo FMX and are applicable across a range of 1 to 15 tonnes or up to 40 tonnes when centre mounted behind the cab. 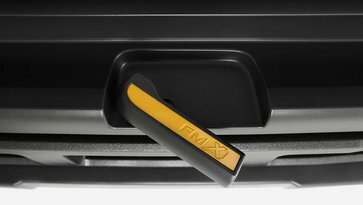 The towing device on the Volvo FMX is embedded into the structure. It’s part of a cross member, made from high strength steel, and it can handle push and pull forces of 32 tonnes at an angle of up to 15 degrees. Strength and solidity aside, it also counteracts the resonance frequency of the chassis – reducing driver discomfort and distractions. 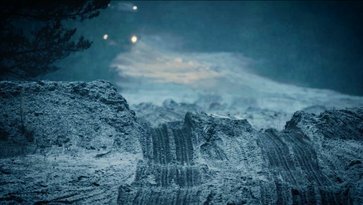 The Volvo FMX can handle rough, demanding terrain. In fact, it’s built for it. Being able to handle some tough treatment is standard. Minor damages are easy to repair and won’t take the truck out of action. Take the bumper, for instance. Built out of high-quality steel, in three parts that can latch together and disengage with ease. If part of it gets damaged, it can be replaced easily. Saving time and money. The lower front of the truck is built to a box design for solidity and safety. Every part interacts to absorb collision damage and increase resilience. It’s the sturdiest design of its kind in the industry. A 3 mm skid plate protects all of the vital engine parts – so in the event of an accident, a component that keeps the truck on the road is less likely to be taken out of service. And they’re well protected when driving off-road – even in reverse. The truck can be fitted with kits to handle all type of weather conditions from the Siberian cold to arid Saharan heat. It’s ready for extreme conditions and adaptable to suit. It goes where you need it to. A wide range of engine alternatives means that you can get the Volvo FMX to work for you – no matter what you need to do. Drivelines are powered by reliable D11 or D13 engines, delivering the power and torque you need. Volvo’s leadership in diesel engine technology is clearly visible once you start comparing engine curves. You’ll experience fast acceleration, excellent pulling power, comfortable low-speed handling and, not least, a fuel-efficient and pleasurable ride at cruising speed. The high torque at low revs reduces the need for gear shifting and will also have a positive effect on fuel consumption. High rimpull means that the truck can handle considerable gradients at speed. Overhead camshafts. Four valves per cylinder. The specifications speak for themselves. These engines are built for action. VEB and VEB+ are Volvo’s patented engine brakes. They minimize wear and tear on brake pads and linings – thereby making downhill driving safer and reducing the service interval. Plus, they work well – absorbing 290 kW/394 hp (D11) to 375 kW/510 hp (D13) of as a matter of course. The Volvo FMX is much more than a tough truck. It’s one that benefits the driver. Easy to get into and out of. Comfortable over long periods of time. Accommodating. Easy to drive. Good for the individual behind the wheel, of course. But also for the operation. Driver comfort means fewer distractions. Easy embarking and disembarking leads to better efficiency. Visibility and control contribute to safety. Room to move is also room for equipment and rations – and crew cabs for passengers are available. 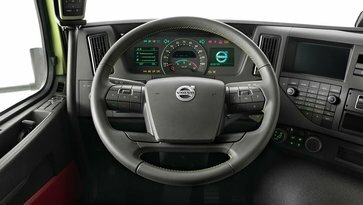 Ergonomic dashboards, comfortable seats and cleverly designed cab ensure better focus on the task at hand, increased safety and reduced potential of damage for the vehicle. Our frames are built from high-quality Swedish steel – phosphate coated and powder painted. We paint the parts before we assemble them ourselves, meaning that there’s no room for hidden rust traps. And we build the chassis so that it’s maintenance-free. High quality and durability reduce maintenance costs over the truck’s lifetime. And we’re confident that few other truck manufacturers can compete with our standards. Not just for the driver. The chassis is developed for optimal space – for both the superstructure of the truck and your equipment. You can specify how much frame space you need, where the tank should be positioned, and so on – and the vehicle will be built to your requirements. This way, the truck is ready to work from the moment it’s delivered. Adaptive Cruise Control uses radar to determine closeness to other trucks and obstacles, and controls the accelerator and all available brakes to keep a safe distance. It’s an essential feature for convoys. If there’s any risk of a collision, warning lights are projected onto the windscreen – keeping the driver aware of what’s happening. When the brake is slammed on in an emergency stop, the lights flash rapidly to alert the driver behind. Helping to avoid rear-end collisions and pile-ups – and improving safety. This intelligent system tracks a driver’s behaviour. 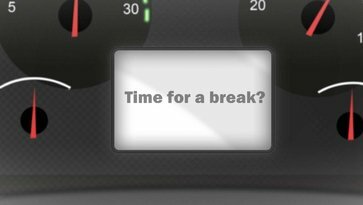 If it senses that they’re tired, it’ll alert them with a signal and a message in the display – advising them to take a break. Driver tiredness on long assignments can lead to accidents. Driver Alert Support helps prevent them. Easy to access from the dash. Automatically engaged when the engine is switched off. Released at take-off. Even if the driver misses the brake in the heat of the moment, it’s taken care of.